Define ‘the good life’. Dunno what your version is, but for me it’s a culmination of mouth-watering food (mostly sinful and sometimes healthy), fashionable clothes for every occasion (you’re allowed to go haywire more than just once) travelling (slumping on the couch counts for part of the good life too), and cinema (TV included). This blog, my friends, is about living life to the hilt and learning a lot on the way. If you have anecdotes to add to my tales, puhleeez, feel free to do so. Good reasons to buy this shopping trolley! Horror struck: Sona’s worst outfit till date? Is it just me, or there’s something very Sabya about this Narendra Kumar Ahmed mish mash desi creation that model Evelyn Sharma was spotted in at the Breast Cancer Awareness Fundraiser, co hosted by Estee Lauder on Tuesday night. BTW, we think Evelyn has what it takes to sweep Bollywood off its feet. An Indian face, petite frame, good dress sense and she’s done a good job in several TVCs till date. So, when is the big Bollywood launch, Evelyn? The event took place at Aer in Mumbai. 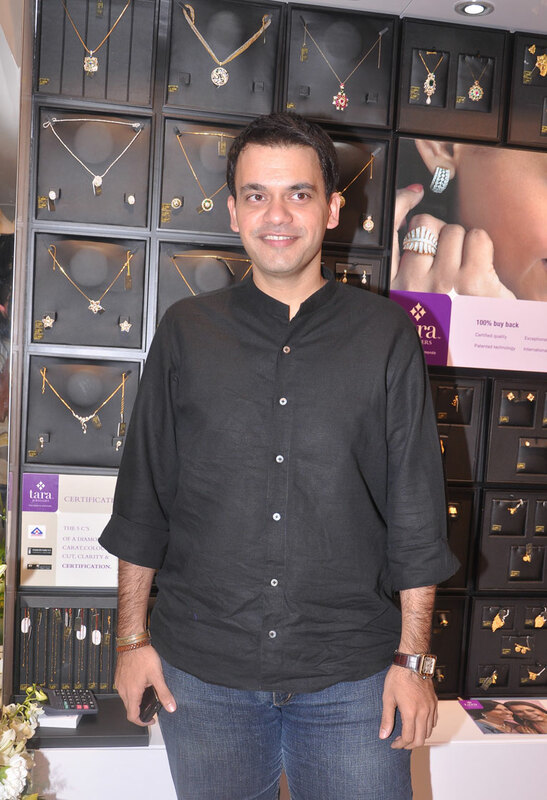 Guess who is giving fashion designer Nachiket Barve company at the ongoing Wills Lifestyle Fashion Week 2013 in Delhi. It’s none other than his wife-to-be, fashion merchandiser Surabhi Lokre! The lovebirds, however, barely have any time to themselves, thanks to the hectic FW schedules. The wedding, Nachiket confirms will be in January. “The exact date is not confirmed but it will be in January,” he says. Who is your favourite fashion designer? Surabhi: That would be Nachiket Barve. Did he hold a gun to your head and ask you to say that? Surabhi: Lol. No. Honestly, I’ve been a fashion merchandiser even before I met him and I’ve always identified with his fashion ideology and liked his designs a tad bit more than the others. Whose design do you plan to wear for your wedding? Surabhi: Nachiket’s… but of course! What is your new line about? Nachiket Barve: Hacienda, my line is inspired by old restored Spanish villas. The colours, the artists, the architects who restored them for their own use – all these people breathed life into these villas and gave them an esteemed chic value. The local textiles, flora and fauna inspired me to translate these observations into various garments. How is this line different from your previous collections? Nachiket: The palette is very different from what I usually play with. Cantaloupe, Flamingo, Melon, Avocado, Papaya, Paprika, Olive, Chalk, Ochre, Mimosa Green, Lilac, Apricot, Chartreuse, Mustard, Lotus Pink, Maroon and accents of black and metallic burnished gold and bronze. I’ve adopted a new way of mixing tonal colour schemes, where colours with varying intensities and hues from one family are put together with a sensual effect rather than sharp contrasts. The fabrics used are georgette, chiffon, crepe, shot silk, raw silk, organza and the like… Having said this, the collection is ME in many ways, so you will find typical Nachiket signature elements in terms of drape and structure. Narendra Kumar Ahmed aka Nari was full of praises for Rahul Mishra and your work. Do you think you are ready to take on the big guns? Nachiket: I don’t think in that way at all. I mean I’m Zen in that sense. I would like to believe that I’m competing with myself and I say this in the most non-filmy way! Yes, at the end of the day, we’re all here to do business and grab the bigger share of the pie, but in a very healthy manner. We cannot control our own fate or anyone else’s. I just want to keep moving on, it’s all that matters to me. That did sound a bit filmy. In your opinion, are the established designers supportive of new entrants in the fashion industry? 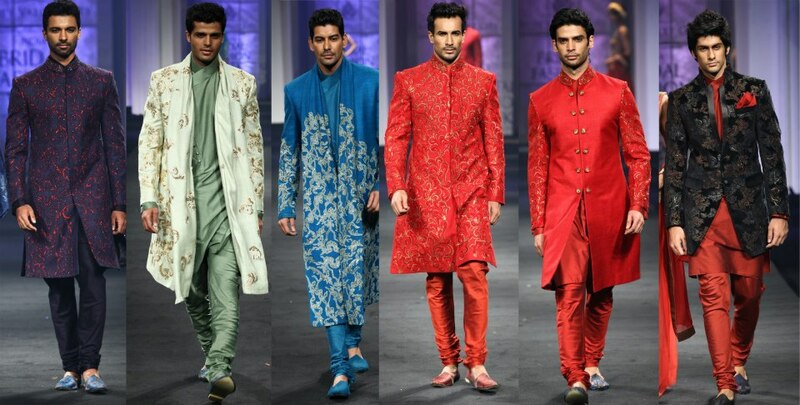 Nachiket: Anyone who is in love with fashion has a sense of joy when they see good work. I think there is a a lot of appreciation from the ‘big’ designers when they see new talent present something refreshing and nice. Frankly, none of us (the new lot) would be here without the support and appreciation. Tell us, was a bridal line always on the agenda? Nari: It was on the cards for a while but I felt that I couldn’t find the right idea to translate into a line. I was clear that if I get into the bridal segment, the product has to be different from what already exists in the Indian market. There are 10,000 designers already doing it, and I didn’t want to be just another one to join the bandwagon. Nari: The lady playing the piano at an after party. I’ve never heard the piano being played with such intensity. Honestly, it was not the sound or the music that moved me but the intensity that stirred something in me to kick off a bridal line. It really got me going. She was playing Rachmaninoff – different, dark music. Rachmaninoff was a romanticist but it was his version of dark romance that lured me to do a bridal collection. Nari: That’s the thing. If you say dark romance, no one will buy the outfits in India. So we looked at the musicians life and the time period that he lived in. We took elements from his era. That’s how we mixed the idea of Swan Lake and Rachmaninoff and came up with outfits for the new age Indian bride. What do you mean by ‘new age’ Indian bride? Nari: Yep. The new age Indian bride doesn’t want to stand pretty in a ghaghra that weighs 100 kilos while the guests dance and have the time of their life. She wants to be able to participate in the celebrations. It is that mindset that the collection will appeal to. The new age bride is also a woman who is an avid traveller, been to destination weddings herself and has seen the world, but still wants to connect with her roots on her big day. Tell us more about your inspirations behind the line. What makes it so special? Nari: The line blends classic West and modern India. It is for a woman who is strong yet fragile in many ways. I’ve drawn inspiration from ballerinas in Swan Lake who look so fragile but if you notice closely they have to be very strong to portray that very fragility. I’ve been watching a lot of films based on ballerinas in the fast few months and their movements require a great deal of strength, both mental and physical. Yet their actions on stage make us feel like they are more delicate than a butterfly. It is this paradox that is the collection. Describe the collection. What has the response been like? Nari: I’ve used a lot of organza to portray the fragility of the garment and the structure signifies the inherent strength of the ballerinas. Women love it for two reasons. The first is that they can truly look different on their wedding day and second, they can actually reuse some elements of the ensemble. For instance, one lady picked up a sari with a jacket and said that she will definitely team the jacket with plain black pants or denims after her wedding day. She was already deconstructing the ensemble to see how she can make use of it later. I think all this signifies the dawn of the new age bride, just like the tone of new age fashion came into being about five years back, with young designers like Nachiket Barve and Rahul Mishra taking centrestage. These guys clicked because the market was tired of seeing the same 20 designers doing the same thing since decades. It’s the same situation on the bridal front too. People want respite from decade old trends. What is the biggest compliment the bridal line fetched you?